Maybe I’m wrong, but I don’t think that any society has ever existed in a state of pure anarchy. At least when I think about anarchy, I think about the absence of government. When I think about government, I think about an entity that organizes a group of people. When I think about a group of people, I can’t think of a group that has ever existed without some form of structure in place. Therefore, they have a government, however rudimentary, and they are not an anarchy. Nevertheless, anarchy has been on my mind as of late because I just finished reading The Man Who Was Thursday by the one and only G.K. Chesterton. Quite early in the story, we are met with an undercover meeting of anarchists infiltrated by Syme, a detective and our protagonist. In order to foil an assassination plot the group was planning, Syme decides to try to find his way into the inner circle of the organization at large by becoming the leader in this local chapter. The language is a bit stronger than what I expressed in the first paragraph, but an anarchist has to be truly an enemy of society. After all, once there is a society, there is a structure that develops, and a structure means there is a government of some form. Therefore, the only way to avoid government altogether is to have no society. Just as a quick side note in case you have not read this book, Thursday is the title given to essentially the head of their local chapter who reports to a national committee that naturally has seven members with similar names. Yes, there is a certain irony to the fact that a group of anarchists essentially establishes in their own social structure with different levels of power and therefore government. Getting back to anarchy though, in order to actually follow this philosophy to its logical conclusion, one must reject any and all social conventions. Again, even the idea of being amiable necessitates a social convention, and that social convention imposes a structure on the individual which is expressly contrary to the principles of anarchy. 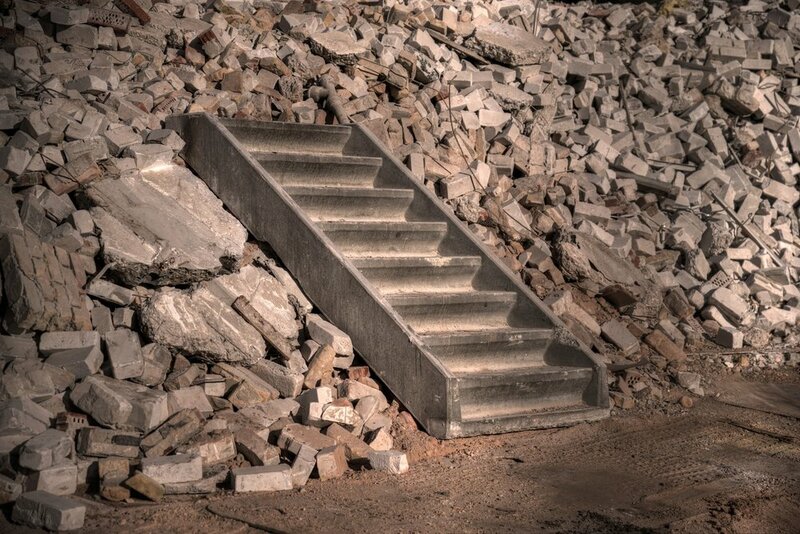 Even something as simple as a personality trait that does not seek to actively destroy the structures that are in place is actually reinforcing them. Syme challenges this group of anarchists to actually live up to their name and actually live in active rebellion to everything. Although we do not live in an age of complete anarchy, this attitude of rebelling against any and all conventions is evident, especially in our approach to the humanities. We’re at a point right now it really does not matter all that much whether or not there is anything we can learn from Western civilization. Rather, because it smacks of any type of traditional, Judeo-Christian understanding, it must be torn down. It could even be something that most people would say is good like amiability, but because it is part of “the system,” we have to wreck it anyway. This anarchistic streak running through our culture cannot accept anything that remains because, in a rare move of intellectual consistency, they have to actively rebel against everything. Of course, the ridiculous degree of irony is that these people really do not actually rebel against everything. There was an article in the Washington Post in January about anarchy. It was written by Jacqueline Jones and was titled, “‘Anarchist’ is often hurled as a slur. But can anarchists teach us something about democracy?” In this article, she traces the history of anarchism as a movement in America and contrasts it to what we understand as anarchism in 2018. However, I mention this article because I want to highlight this historical differentiation between different groups of anarchists. We can kind of see this division in Chesterton’s work as well, but only the second type can be seen as what I would call true anarchists. This is the type that Syme seems to be appealing to. He makes the radical claim that everything must be rejected. This division of anarchists in America wanted to even dissolve voluntary associations, so perhaps they went one step further than Syme because he was appealing to be a leader in a voluntary organization of like-minded political activists. Clearly he did not extend his anarchy to the extent that Jones describes some went to, but he is much more like that than the other two groups. There is never any kind of indication that Syme is a supporter or detractor of labor unions or a workers’ state, so even if it is not a perfect fit, the second group seems to be the most natural for his ideology anyway in this historical moment. The question that we have to ask is whether or not this is the kind of world we want to live in, and I think that for most of us, the most natural answer would be negative. While there is obviously quite a bit of appeal to the absolute freedom of anarchy, it is important to remember that, in its most pure form, anarchy is the rejection of convention. In order to truly embrace this worldview, you cannot pick and choose the virtues that you want to keep. The other two groups mentioned by Jones were certainly inconsistent. They didn’t like the idea that the government had power for example, but they were more than happy to transition that power over to the labor unions or some conglomeration of the members of the proletariat. In a way, these types of anarchists would be more accurately described as Marxists. They supported the overthrow of the government, but they had another political vision that they were ready to put into action immediately. They were not so much anarchists in the pure sense as they were opponents of the status quo. They wanted to rebel against what was in place, but the rebellion was not grounded in the ultimate rejection of all authority. They just wanted different authority in place. As a result, I would contend that many people who classify themselves as anarchists even in 2018 are unwilling to commit to the ideological consistency required by true anarchy. You may hate the government of the United States, but you probably have a vision that you would prefer. You are not just rejecting convention, but you are rejecting convention with the idea that the conventions should be replaced by something better. Or, you are rejecting some conventions, but there are other ones that you want to keep in place because they are convenient or preferable. 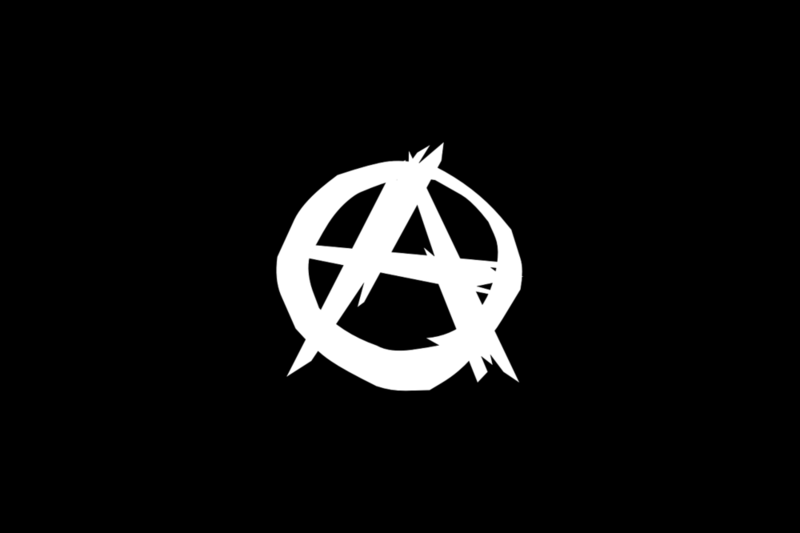 That returns to my earlier statement that no one is actually a true anarchist, and I believe that because it seems to be the case that, as humans, we cannot get away from certain conventions no matter how hard we try. There seems to be something natural about different behaviors, and we can see that across time and culture. For example, essentially every great civilization in the history of the world embraced a prohibition on murder. A true anarchist ought to say that this is a societal convention and therefore should be rejected. Across time and culture, there has been a commitment to private property. People have this idea that certain things belong to them, and they get upset when those things are taken away without compensation or some type of legitimate rationale. Again, a true anarchist ought to say that this idea of any type of ownership is a convention that ought to be done away with (some of them do actually embrace this I believe). Or we can take the concept of community. There is a reason that humanity has traditionally organized itself into groups. We build towns and cities for a variety of reasons, but a major reason for their existence is this desire to be with other people. We are pro-social beings. The anarchist must reject the societal convention that it is a good thing to be social. With all of these ideas, it is important to remember that the anarchist is not automatically affirming the opposite to that which they reject. After all, if the anarchist embraced being antisocial as a new convention, they have undermined the goal of rejecting convention. The true anarchist has to consistently reject everything and ultimately affirm nothing beyond the one solitary truth that every truth must be rejected. This is the chief reason why no one can remain a true anarchist. It is very much like the reason that no one can remain a true subjectivist. The world that develops when we cannot affirm anything as true is not a world that anyone wants to live in. Anarchists cannot provide a consistent rationale for why the convention of not murdering should not be rejected. They have to reject that convention by virtue of being an anarchist, and any type of moral argument that they would attempt to make to justify not murdering someone else would fall flat because there is no foundation to build upon. If they affirm that one should not murder, they have therefore created a convention which, because of their own worldview, they have to automatically reject. I know that this is not a rock-solid case against anarchism. I am making an argument to our shared humanity. As we discuss what type of world we ultimately want to live in, there are certain things that it seems natural to want to be a part of it. That collection of truths probably comes from our own experience partially. After observing communism as it was practiced in the Soviet Union and is currently practiced in China, if I was arguing for policies that would impact the country I live in, based on the evidence I have seen and the experience the world has with governments that embrace these concepts, I would reject communism. We certainly know what we like by seeing what works or what doesn’t work in the world. However, as a Christian, there is a deeper level of significance to our humanity. We believe that we are designed in the image of God and therefore, although we are in active rebellion due to our sin nature, when we recognize that which is good, we are recognizing something that is objectively good. Therefore, when thinking about the kind of world that we want, there are some things that seem to be consistent with my humanity like charity, love and mercy that ought to be a part of that world as well. Yes, I have experienced them, but as a Christian, their fundamental value goes beyond that type of utilitarian conception. It is not just what works, but it is a discussion of what has actually been embedded in the heart of humanity. It is our desire for these goods even if we don’t necessarily know why or where they come from that has established the convention that Lewis calls the Tao in The Abolition of Man. There are these conventions that humanity gravitates towards even if they do not acknowledge the God who put that attraction there. It fundamentally goes against our human nature to fully embrace true anarchism, and that is why no one is ever going to entirely embrace this worldview and radically oppose all convention. At most, they will argue for the replacement of one convention with another, but that is not actually anarchism. Syme and some groups of anarchists in American history have come close to ideological purity, but Chesterton’s insights and historical evidence shows the ultimate shortcomings. G.K. Chesterton, The Man Who Was Thursday: A Nightmare (London: Penguin Books Ltd, 2011), 24, Kindle Edition.